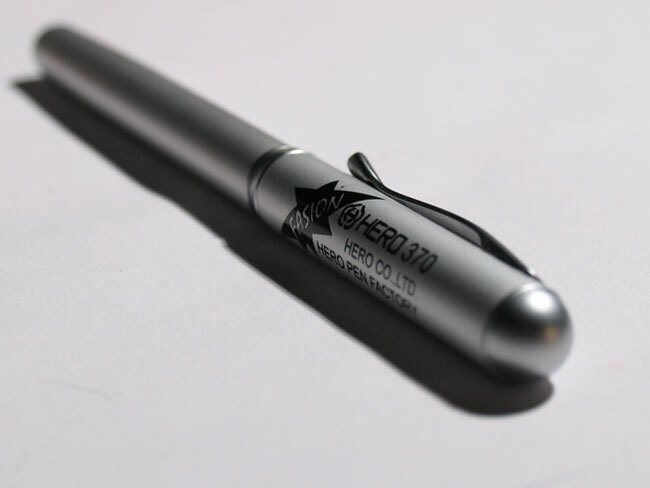 I mentioned last time that I purchased a second Hero pen when I got the 160. This is a review of that pen. Click on the images for a larger version. The Hero 370 cost a whole $4, and believe me, it was worth every penny. 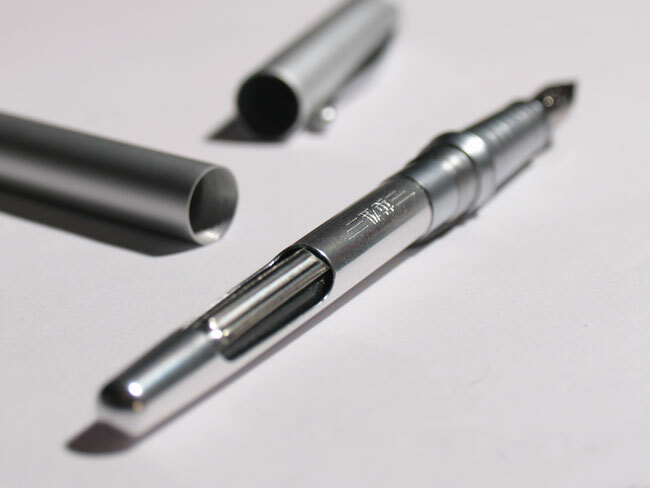 It’s a small, simply designed pen constructed of a light weight metal (aluminum, I’m guessing). The cap is of the snap variety and has a garish advertisement for the company covering most of it. 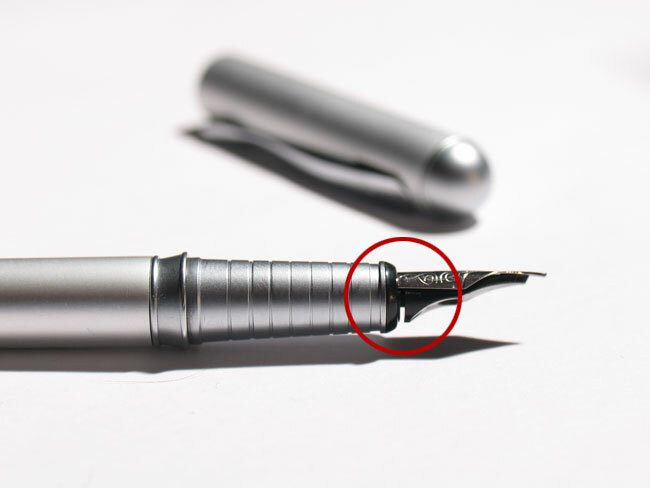 It has a steel extra fine nib. It uses an aerometric filler, but also takes cartridges. I’ve tried it both ways with pretty much the same results. I don’t know if this is specific to my pen, or if they are all like that but it doesn’t inspire confidence. I pulled the nib apart and tried to fix the problem, but no luck. 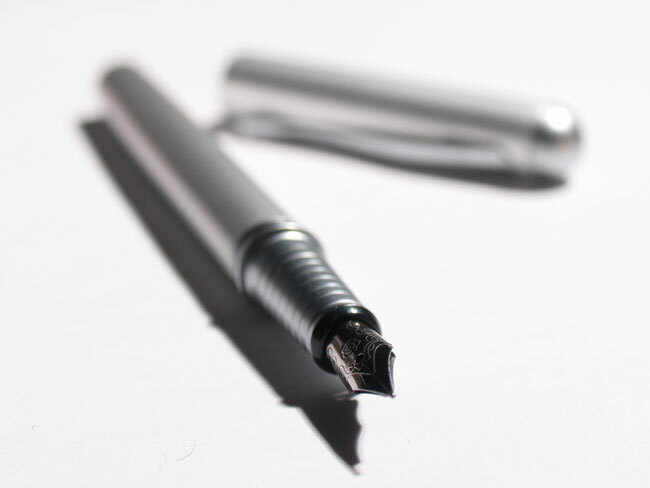 Plus, because of the thinness of the pen, it hurts my hand to write with for any length of time. I wasn’t expecting much from this $4 pen, and my expectations were met. Needless to say that this pen is headed for an early retirement. 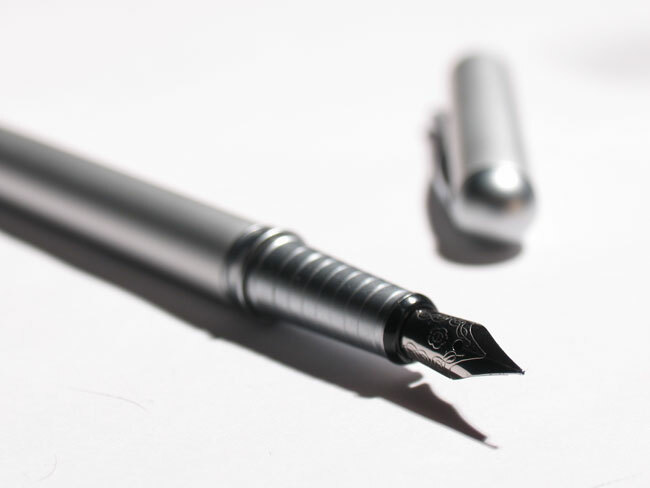 Today I ordered another Hero pen, this time the 100 which is a knock off of the classic Parker 51. It has received rave reviews on various pen forums so I was curious to test it out. Once again I ordered it through ISellPens.com. I’ll post a review after I’ve had a chance to play with it a bit. I think next time I’ll stick with some more of the inexpensive pens in my collection and review the Ohto Tasche that I bought from Jet Pens.